was built by my husband( Mathew)and son, (Tyler)to create a safe place for our son & daughter(Lauren)to go and get away from modern tech (phones, computers etc) and to just be kids! 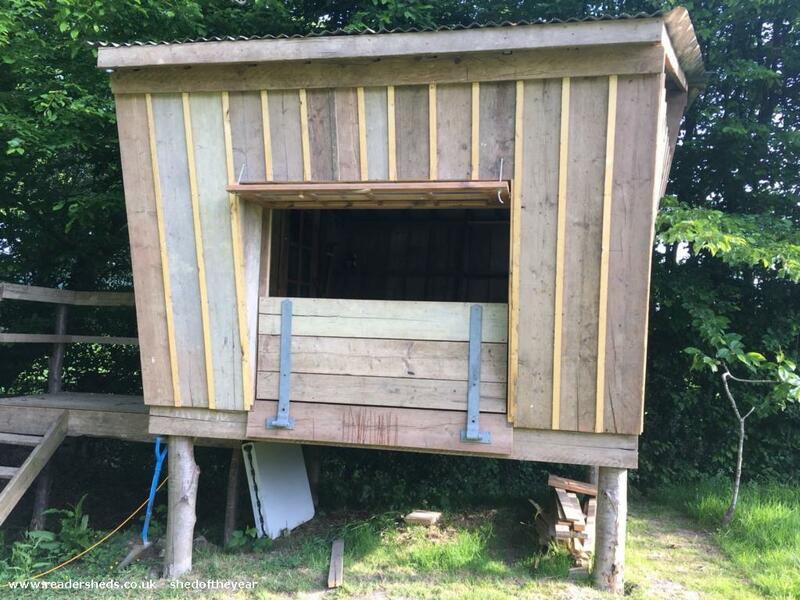 Tyler has had a bit of a rough time at school of late so wanted somewhere he could go and have his own space, it also gave him something to focus on whilst building the shed and for Matt to teach him basic carpentry skills and to create more of a bond between them both. Since the shed has been built it has been the main focal point of any gatherings, bbqs and most importantly family time. We have slept in the shed once but will being doing it a lot more now the weather is warming. Matt is planning on using it to during the World Cup to get friends and family round and have a screen set up in the front opening. We have created so many memories all ready in the short time that it has been built and Im very very proud of what both my husband and son have achieved. Matt is a very creative person and has always had a passion for making things (all out of recycled wood) from garden planters, benches and chairs so it was a natural progression to make the biggest thing he could. The most impressive thing about this entire build is that it has only cost ﾣ17 (along with its impressive shape) which was the cost for all the screws used on the build, Matt works as a scaffolder so the main structure is made entirely from old scaffold boards, thats the roofing timbers, floor joists, stud walls, stair case and the cladding. The roofing sheets are also reclaimed from work as they where going to the tip. Matt got the 2 doors from his dad who was chucking them out. The 4 corner posts and windows where from a friend and the iron work used as in hinges etc where bits that Matt had accumulated from a previous job as a fencer. 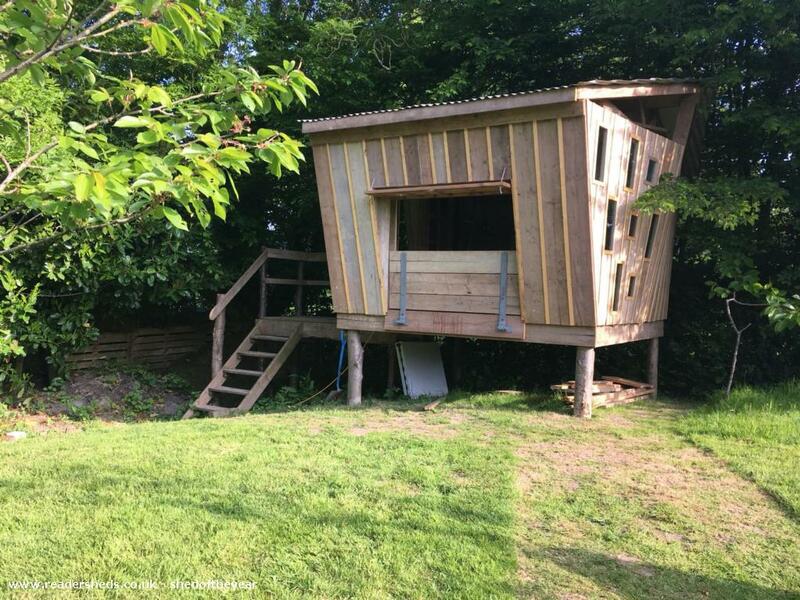 (their words) that they fought to allow us to keep it, I think that speaks volumes about the shed, its general appeal and the pure creativity and love my husband has poured into it.